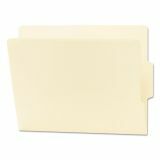 Smead End Tab Folders, Reinforced 1/3-Cut Center Position Tab, Letter, Manila, 100/Box - The industry standard for efficient shelf filing, Shelf-Master folders feature a double thick tab for strength and durability. Straight-cut tabs have embossed lines for easy application of color-coded labels. The undercut front panel helps make labels stand out for extra readability. 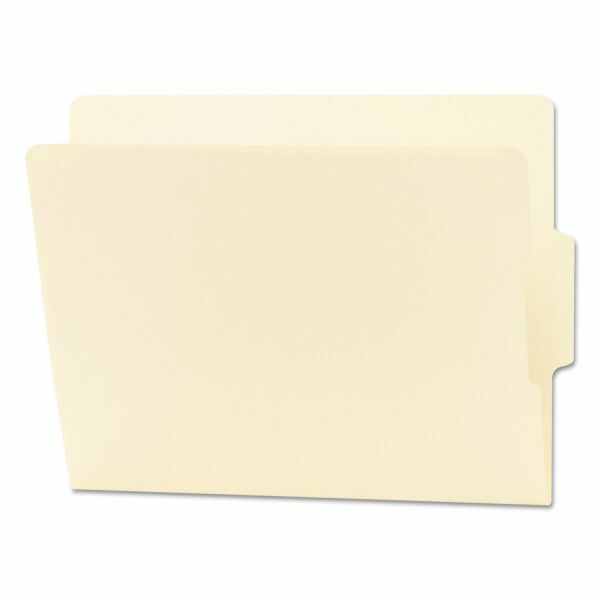 Shelf-Master end-tab folders are the basic building block for color-coded filing systems and are the popular choice for most medical, dental and hospital filing systems as well as for very large records management systems in financial institutions and insurance companies.